SIM CFL "Improv Night"​ at SAK Comedy Lab was a fun and memorable event! 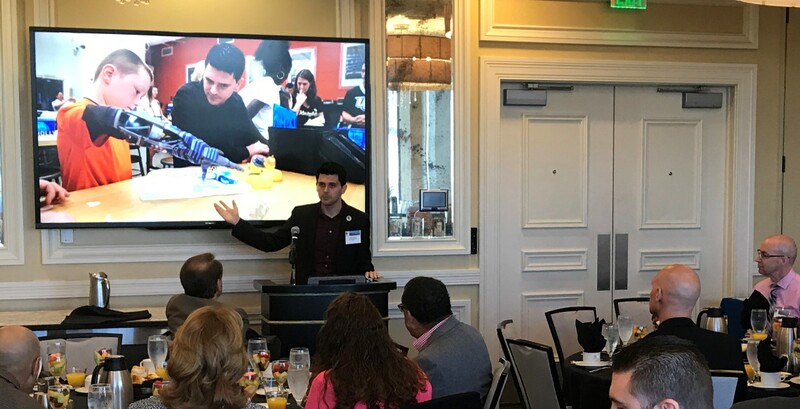 At SIM Central Florida's April event, chapter members got a first-hand glimpse of how to think quickly on your feet ... how to creatively communicate ... and how to improvise in today's fast-changing workplace. In addition to great networking, members enjoyed lots of laughs while learning how to better improvise. 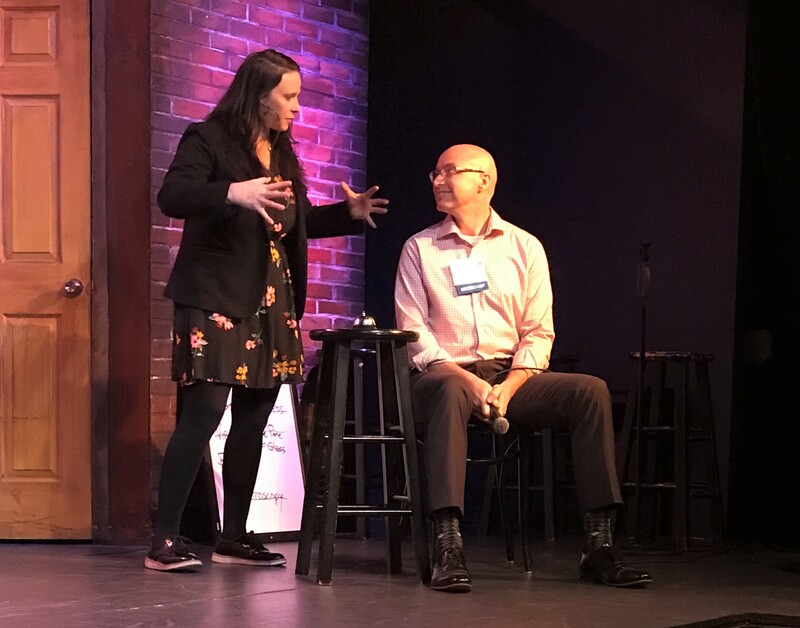 Chapter secretary Lee Bailey joined the improv artists onstage for one such participatory experience. 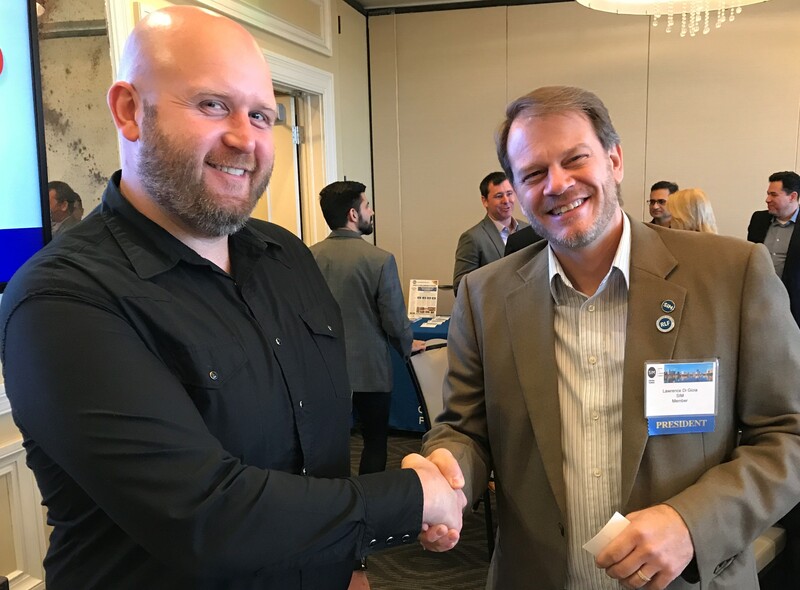 SIM Central Florida has donated $1,000 to a group of Orange county middle school students and to assist them with their efforts in robotics competitions. The group, called "Error 404: Team Not Found," is team of eight middle school students working together in their second season in FIRST® family -- an organization that gives students the opportunity to explore and solve world problems related to science, technology, engineering, and math (STEM). Through an annual challenge, teams are encouraged to design, build, and program a robot that competes in certain tasks. “Our goal is to provide students with experience in robotics and engineering through exciting, challenging competitions and to build confidence and leadership abilities in our team members,” says Harsha Gagadam, SIM Member and mentor to the Error 404 robotics students. Copyright � 2018 Central Florida. All rights reserved.